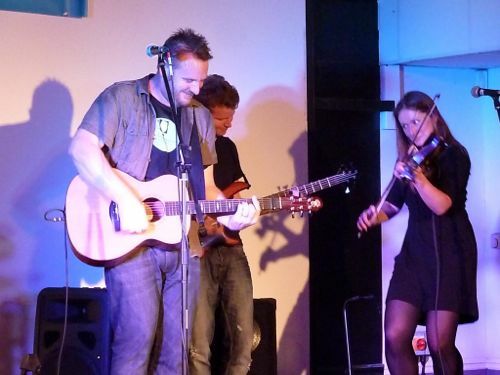 With the Pilton, Somerset, based Glastonbury Festival taking a year off this year the town of Glastonbury, just a few miles down the road, is hosting the first Glastonbury Fringe event, which features music and arts events between June 21 and July 1. 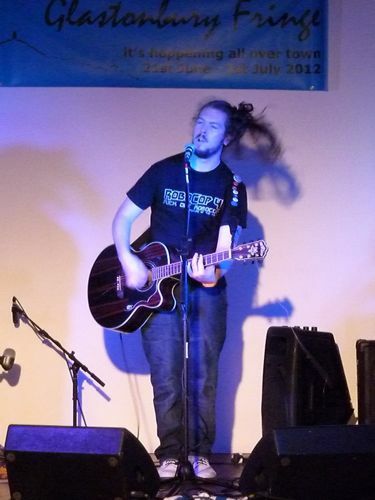 Among the gigs taking place over the two weeks of events was an evening with three singer songwriters at the Tor Leisure, Glastonbury, on June 23. 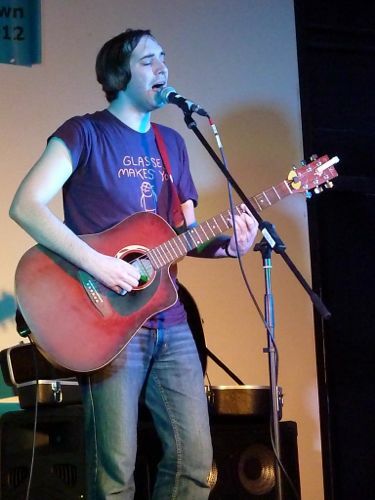 Featured were Nick Parker, the Street, Somerset, based singer who is usually a solo performer but was performing on the night with his band The False Alarms. The band has just returned from a tour of Germany and this was Parker’s first UK show with them. Here’s our review of his 2010 debut album King of False Alarms. Oxygen Thief, aka Barry Dolan, whose album we reviewed here, and Ben Marwood, whose debut album Outside There’s A Curse was released in January last year, also played on the night. Marwood is currently working on a second album. Thanks to Duncan Batey for letting us publish these excellent pictures of the night. Neon Filler is very proud to present a fabulous bill of bands as part of the Oxjam Festival this October. The three bands playing are Rotifer, Tigercats and Danny Kendall. Rotifer is the work of Austrian born, England based, songwriter Robert Rotifer. 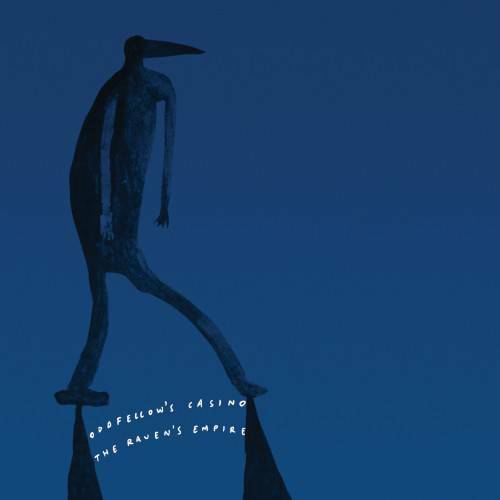 His sixth album, The Hosting Couple, was the first release on Edwyn Collins’ AED label and was described by our reviewer as “Part Stones, part Kinks, part Bowie and even part Neil Innes in places”. Rotifer’s current line-up sees him backed by Ian Button (Death In Vegas) on drums and Mike Stone (Television Personalities) on bass. Listen to ‘Star City‘ from the Vostock 5 compilation and watch the video for ‘Canvey Island‘. In 2011 we named Tigercats as one of our “ones to watch in 2012”. When they released their debut album this year they received a perfect 10/10 score, living right up to our high expectations. Our review described the album as “teaming with radio friendly, infectious hooks” and you can judge for yourself by listening to ‘Banned From The Troxy‘ or watching the video for ‘Full Moon Reggae Party‘. Danny Kendall is the work of Ben Murray, sometime sticksman with the likes of Chris T-T and Jim Bob (of Carter USM fame). As Danny Kendall he released his debut EP this year and it is an understated gem, all sweet melodies and bittersweet lyrics. Listen to the fuzzy pop of ‘You Can’t Go Home Again’ or watch him in more melancholy mode playing ‘Waiting On The Engines’. Click the image below to buy tickets on line. 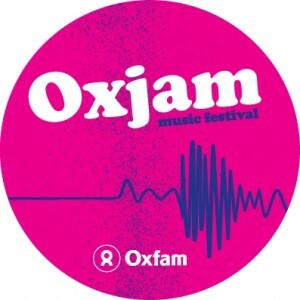 Click on the Oxjam logo below to find out more about this great nationwide event. If you are coming to the gig please add yourself to the Facebook event. Many thanks to Nic Newman for the design work, The Print Room for posters, flyers and tickets and SWAT for posters and distribution. In a recent article for the Trichordist website David Lowery wrote an impassioned response to an article by an NPR intern, Emily White. Her article was about how she didn’t pay for music (apart from around 15 CDs) and posed the question “All I require is the ability to listen to what I want, when I want and how I want it. Is that too much to ask?” Lowery’s response was a lengthy exploration of the impact of music theft and supporting the artists’ rights to fair compensation. Lowery’s piece isn’t perfect (his views on Spotify are open to question), and I don’t agree with everything he argues, but it is an intelligent and passionate article that raises some very valid points and highlights the dangers of a system where artists are not financially rewarded for their work. It is also pretty hard hitting in places. Music piracy may not have directly lead to the deaths of Vic Chesnutt and Mark Linkous, but if two artists of their caliber (and not forgetting the brilliant Jason Molina) can’t make enough money to pay for their healthcare then something isn’t quite right. Crucially the article isn’t an attack on Emily White (as many critics have claimed), it is explicit in being a response to her challenging some of her beliefs. It has also had a very positive effect in the amount of discussion it has raised, many people saluting Lowery for writing it and many others publishing counter arguments. A different Emily White writes a clear and intelligent defense of her namesake and makes some very valid points about the changing face of music consumption and the other ways that Emily Whiten (and those of her generation) support artists. Crucially she misses the key point of the article, the issue of payment. Lowery isn’t saying people should buy CDs, he is saying they should pay for downloads, and that point is ignored in the article. She also gives an effusive “yes” to the questions “All I require is the ability to listen to what I want, when I want and how I want it. Is that too much to ask?” but ignores that fact that this is already the reality for people. If you change the question to “All I require is the ability to listen to what I want, when I want and how I want it and not have to pay for it. Is that too much to ask?” then things get a bit less black and white. There have also been a whole raft of articles from the poetic to the passionate which argue that music should be free and artists should play for the simple gift of having an audience that allows them to express themselves. This argument sounds good, but troubles me for a number of reasons. Firstly I am not convinced that a world with only amateur musicians would be a good thing, for artists or fans alike. How would bands pay for tours and recording, and the music would have to play second fiddle to the day job. It would make international touring impossible for most artists, and our venues would be filled with the same sets of local artists. Secondly it suggests that someone who works hard on their art doesn’t deserve to be paid for it. I enjoy reading books, watching films and listening to music, I am very happy to pay money to support the people who create the art that I enjoy. It is also a fact that somebody is making money out of the illegal download industry. Why should the Pirate Bay earn an estimated $14 million annually for the distribution of files and the artists don’t get a penny from their consumption? Travis Morrison (of the Dismemberment Plan) writes an amusing piece looking at the ways in which people used to steal music. There is a lot of truth in what he says, and Lowery can sound like the old “home taping is killing music” campaigns of the 1980s. However, the scale of things is fundamentally different now and the impact much greater. You would need a team of people to create enough mixtapes to contain the quantity of songs that people exchange in one go on a portable hard drive. You can get as much music in one hit, for free, as [people used to spend a lifetime collecting. Jay Frank makes some interesting points and points to the sad fact that major labels are still winning when in comparison to the struggle that independents have to make money. However he, like several others, points to Lowery’s declining musical status as the real reason he is making less money. This may be true (and it is a crying shame as he is one of the best songwriters in the world) but it is not the point that Lowery was making. If an artist sells less then of course they make less money, if an artist is popular and all their music is downloaded illegally then that is a legitimate problem for them. Lowery is a brilliant musician and passionate about artists rights to be rewarded for the great work they do, and not make money for ISPs and file-sharing sites instead – I find it hard to disagree with him on that. He may have some views that are open to question, but he has opened up a fascinating and challenging debate and for that he should be commended. Belle and Sebastian guitarist Stevie Jackson’s tracks have been sparsely used across the B&S back catalogue but have always lit up each album with their pop-savvy nods to the Sixties. 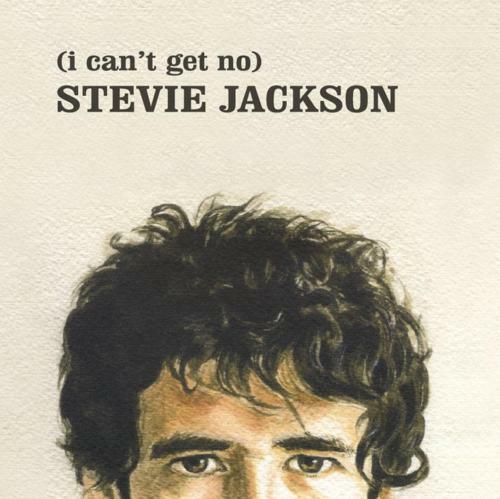 In releasing his debut solo album (I Can’t Get No) Stevie Jackson he has thankfully not opted for any strange flights of fancy into jazz or classical music, it is as you would expect, 12 tracks of intelligent pop of which each could quite happily sit within 12 forthcoming Belle and Sebastian albums. While it is a solo album it still has a full band feel, with Jackson using a host of collaborators, including members of Belle and Sebastian, The Pastals and The Company over the lengthy six-year period it has taken to write and record the album. This gives the album an eclectic nature without sounding uneven. Indie pop is still what Jackson is all about. Opener Pure of Heart starts low key before building up into Jackson’s trademark Sixties drenched pop and on second tack Just, Just, So To The Point there’s some great disco strings to add to the mix. He clearly held this one back from Belle and Sebastian album discussions, as surely this would have been a shoo-in for their Trevor Horn produced Catastrophe Waitress or The Life’s Pursuit. Without a single duff track and packed full of Jackson’s influences from soul to disco to the likes of The Kinks and early Pink Floyd, this solo debut album offers few surprises but plenty of summery pop. What makes a good song writer? Is it the ability to turn a phrase on its head , capture an emotion perfectly or to simply be a great story teller? Here’s the second part of our top ten greatest songsmiths. View the first part here. Back in his days with Squeeze Chris Difford he would scribble down his lyrics, rush over to fellow band member Glen Tilbrook’s house, who would bring music to his wonderful words. While, arguably his best song writing days are behind him, he still releases and writes, with his last album coming in 2010, which just about qualifies him for our list as an active and releasing songwriter. Among the main reasons for his inclusion are his expert story telling and biting observational lyrics. For us his finest song was Squeeze’s Up The Junction, the tale of a doomed romance as the protagonist drinks and gambles his way out of a family and home. It has no chorus and ends with him failing to get the girl, but was still a hit. Here’s one of our best parts where his life begins to crumble. His enthusiasm for encouraging songwriting is another factor in his inclusion as he spends some of his time these days giving talks and using gigs to explain his craft. If an artists songwriting abilities were based on award nominations then Polly Jean Harvey has enough to justify a dozen careers in music. Four Mercury Prize nominations alone over an 18 year period, the last two as winner in 2001 and 2011, make her the most successful artist in that particular competition. Even if you have little patience for back slapping industry events it is hard to argue with the quality of her back catalogue with 20 years worth of albums and barely a wrong step amongst them. Like Kristin Hersh she has an amazing ability to move between musical styles without ever losing her own identity. Vocally she is a real chameleon, listen to the timbre of ‘Rid Of Me‘ compared to the fragile folk stylings of ‘Let England Shake‘ for evidence of that. Lyrically her work has always had a very personal feel, with raw sexuality and emotional openess a repeated theme. More recently her work has taken on a more thematic approach, never more so than on her critically acclaimed 2011 album Let England Shake. War, identity and the concept of England and Englishness being the central themes on the album. 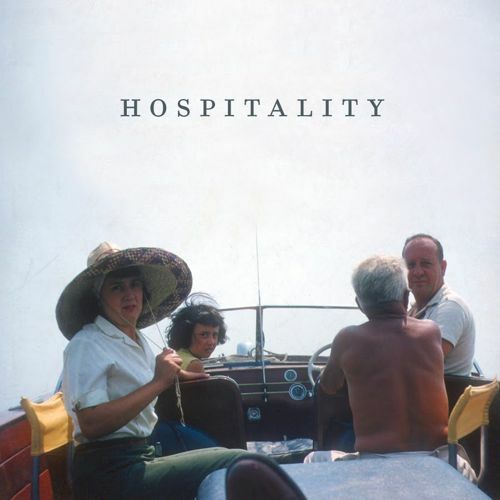 This doesn’t always make for easy listening, more poetry than lyrics, but it is bold songwriting and stands Harvey out from most of her peers. 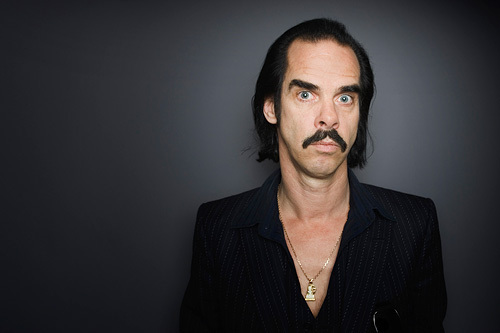 Nick Cave doesn’t just tell stories in song. He likes to get right inside the head of his protagonists, with criminals a particular fascination. With the Bad Seeds and as a solo artist Cave’s gothic horror style makes him more akin to the likes of Edgar Allen Poe or Harry Crews than the Australian punk scene he emerged from. Take Mercy Seat, his track about a killer facing the electric chair that was so brilliantly covered by Johnny Cash. All the way through the protagonist bravely protests his innocence and says he has no fear for his impending death. But as the electricity sears through his body he finally admits to telling a lie. Whether the lie is about his innocence or his bravery in the face of death is nicely left for the listener to decide. The Murder Ballads album is another of our favourites, with Where the Wild Roses Grow among the album’s most well known and lyrically best tracks. Loosely based on the traditional tale Down in the Willow Garden it tells of a man killing his lover and laying her to rest among the flowers. Cave tells the story through the killer’s and victims eyes, with Kylie Minogue taking the role of the unfortunate lover. In this track and each of the others on the album he describes the moment of death so perfectly, it’s as if the listener was there. Here’s the final two verses of Where the Wild Roses grow where the terrible deed takes place. Cave is still writing, using his skill as a story teller across music, film and literature, including writing the screenplay for Australian western The Proposition (2004) and as one quarter of Grinderman, which disbanded in 2011. At the time of writing he is helping develop a film adaptation of the Threepenny Opera with the actor Andy Serkis. 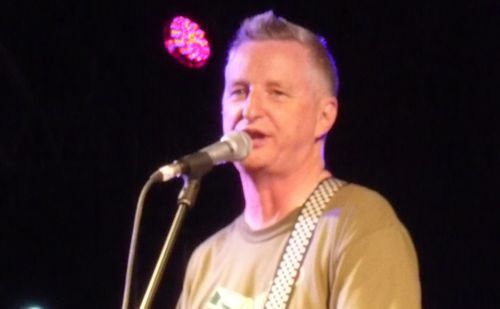 Billy Bragg is arguably the UK’s greatest living folk songwriter, with his lyrics managing to mix serious political and social commentary with sparkling observations. He is also one of the few songwriters to write about the issues of the day, with corruption at New International and the rise and ultimate fall of the BNP among his more recent subjects. Never Buy the Sun, about News International, phone hacking and the shockingly irresponsibly coverage of the Hillsborough stadium disaster in its Sun newspaper was written in 2011 and shows as far as Bragg is concerned the protest song is alive and well. Among our favourites is Levi Stubbs tears. This heartbreakingly sad tale of a girl and her miserable life seeking salvation in the voice of Four Tops singer Levi Stubbs, whose tears mirror her’s. Here’s one of our favourite versus. It’s no wonder Woody Guthrie, the great American protest singer is such an influence. Like Bragg Guthrie also transcended the simple protest song and often wrote about love and family life. 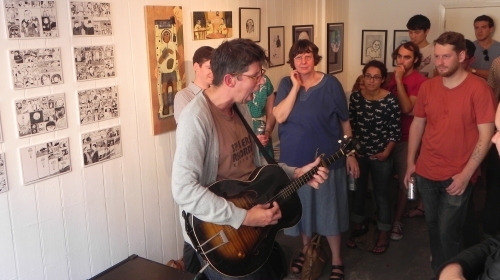 We caught Bragg’s show at Glastonbury in 2011 and urge anyone who hasn’t seen him to do so. Anyone who wants some political discourse wll be disappointed, I’m just going to belt em out” he told the crowd.Its something he’s been doing for decades. 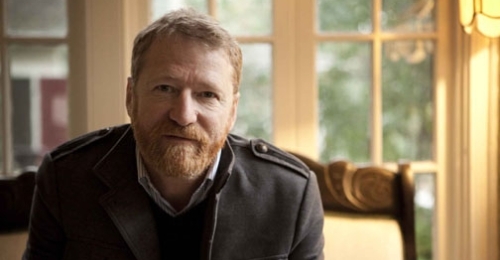 David Lowery first came to our attention when he was the singer with Santa Cruz country-ska-waltz-punk-pop band Camper Van Beethoven just before they split up (first time around) in 1990. The band were known as a bit of a one-hit novelty act thanks to ‘Take The Skinheads Bowling’ but this song (as good as it is) distracts from what a sophisticated songwriter and lyricist Lowery was and is. Heard in the context of the music their is something just a little bit heartbreaking about those words. You can read lots more about David Lowery’s songwriting process (and get a bit of a history lesson to boot) at his 300 s0ngs blog. 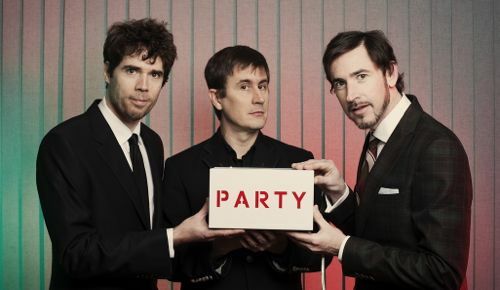 The Mountain Goats’ John Darnielle is America’s greatest story teller in song. Sometimes as on Sunset Tree his songs are about his own life and recovery from an abusive, early homelife. Other times his songs are about fictional characters or the lives of real, sometimes famous people, such as Judy Garland and Charles Bronson, who feature on All Eternals Deck (2011). Autopsy Garland from that album, in which he imagines Judy Garland’s last moments, remembering the abuse from studio executives as she takes her final, global road trip away from the horrors of Emerald City, is a particular highlight in his career. 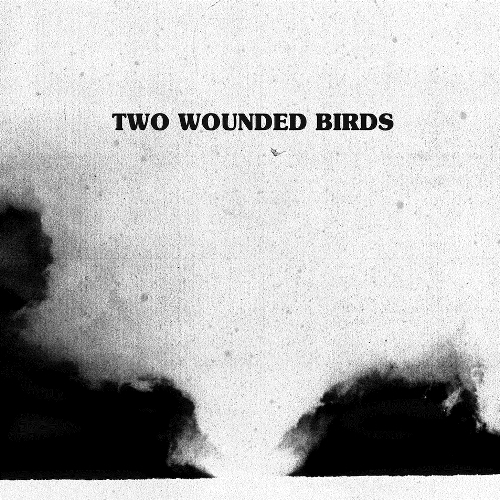 Among our highlights in a career, which started through releasing tapes of just vocals and acoustic guitar made on a boombox and currently resides with Merge Records, is No Children from Tallahassee about a hateful, but wonderfully well-suited couple, and All Hail West Texas’s The Best Ever Death Metal about teenage friends Cyrus and Jeff. In one cruel moment Cyrus is sent to a mental institution, known as ‘the school’ because of his love of death metal, which paradoxically appears to be the only thing keeping him sane. Where they told him he’d never be famous. The best ever death metal band out of Denton will in time both outpace and outlive you. Hail satan! Hail satan tonight! Darnielle used to work in such a place as a mental health nurse, proving Partridge’s point that the most successful songs are about what you know. It is perhaps the songs about his own life where his song writing is most poignant and powerful. Here’s some lyrics from Pale Green Things, about a rare good memory about the step father who beat him. 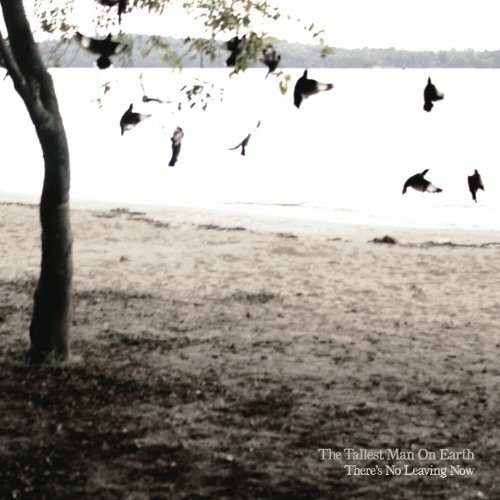 This track, set at a racetrack with the young Darnielle gazing at the green moss and grass growing in the dirt underfoot as he stands beside his abuser, was another in our list to make our top ten tearjerkers list . The doubling up of the phrase ‘at last’ is simple but tearfully effective. Despite a formidable track record of song writing behind him arguably Darnielle’s best work may still be ahead of him. As Autopsy Garland and For Charles Bronson on On All Eternal’s Deck (2011) showed the quality of his song writing is showing no sign of letting up. Here in an exert from For Charles Bronson Darnielle charts the Death Wish star’s final years in film, battling alcoholism and his falling star. What makes a good songwriter? For some it’s the ability to tell a good story, for others it’s a turn of phrase that succinctly captures a common emotion. For some. 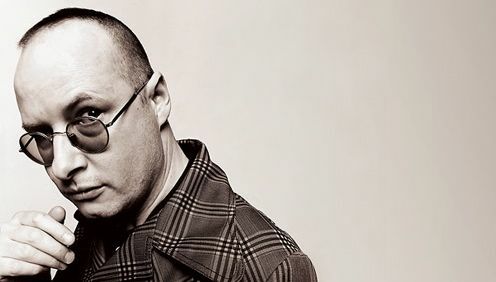 such as Andy Partridge, one of XTC’s chief songwriters, it is simply to draw inspiration from your own life and community. In a nutshell, he writes about what he knows. This frees his work from pretension and gives his lyrics genuine meaning. As the article later alludes, the example of Partridge puts the meaningless drivel of the likes of Coldplay to shame. Chris Martin needs to have a wander around town more like Partridge if he ever hopes to gain a song writing reputation to match his bank balance. We’ve been having a good listen to the lyrics and construction of some of our favourite tracks recently and have decided to attempt one of our Top Tens looking at the art of the great songwriter and those whose lyrics inspire and amaze us. We’ve set some ground rules. 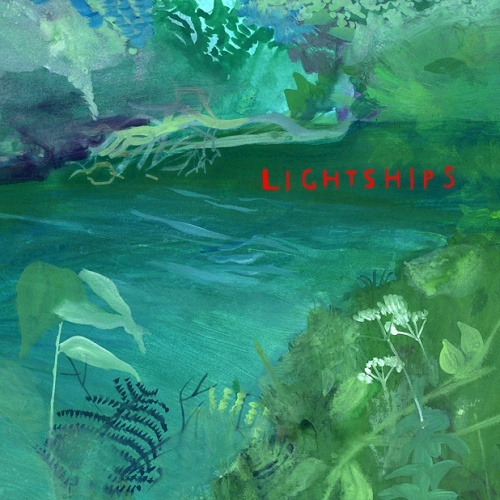 They have to broadly fit into the indie or alternative musical world we cover, which unfortunately rules out Kate Bush. They also have to be an active song writer who is still releasing. This rules out Partridge, as XTC’s last album was more than a decade ago. In our list we’ve some who not only write great lyrics but are expert song constructors. For some their best work is behind them but they are still plugging away. Meanwhile, for others they seemingly get better with age. Others in our list really give thought to the art of songwriting and take delight in helping fans and music lovers understand the process better. We’ve also cheated a little. It is in fact a top 11; we couldn’t separate our top two choices so decided to give them equal first. So with all that in mind here’s the first part of our top ten (okay, its 11 really) song writers. To view part two of this list click here. But arguably his best work has come in recent years, during a productive and purplest of patches that includes two albums about his native Essex (Pram Town, Essex Arms), contributions to the Vostok 5 space travel art and music project, bass playing for another great modern song writer Robert Rotifer in his band Rotifer, an album of piano ballads (Ship’s Piano) and his January Songs project, where he wrote, released and recorded a song a day in January 2011. He is set to release an album about British lidos and Essex witch trials. It is his January songs project that is perhaps his most impressive in terms of songwriting, in which he gave his audience a fascinating insight into the song writing process and came up with some superb lyrics and song writing that made a mockery of the short time he spent on them. I Know I Fucked Up, sung by Allo Darlin’s Elizabeth Morris and My Dirty Widow are among our highlights. perfectly captures the perilous, unusual situation these animals’ faced and shows a willingness by Hayman to write about the most leftfield of subject matter. It is among many highlights in a great songwriting career for Hayman that is showing no signs of letting up. Luke Haines is a different character from most of the people on this list, he has worked hard to commit commerical suicide many times in his career and he is as well known for being bitter as he is for great songwriting. But great songwriting is what he does, and it is something he did with his previous bands, The Auteurs and Black Box Recorder, and is something he continues to do today as a solo artist. To be more accurate, the single version of the song, ‘Light Aircraft On Fire’, featured the f-bomb, the album version was cleaned up, a rather perverse back-to-front decision. went the chorus to their single release ‘Child Psychology’. These days Haines is a critically acclaimed author, two volumes published of his musical memoirs, and his music no longer infects the mainstream. That isn’t to say that he has lost his songwriting skills, far from it. His latest album about wrestling in the 1970s features some of his best songwriting, and is a surprisingly warm and nostalgic record. 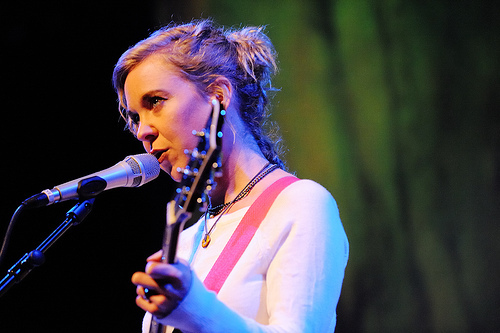 Kristin Hersh has always existed just inside the fringes of American indie music scene. 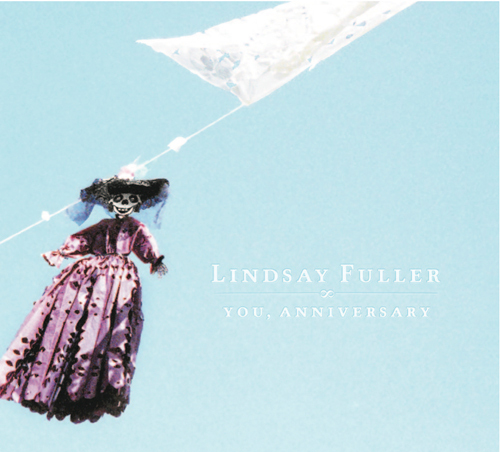 Critically acclaimed and successful without getting quite the same level of attention as her contemporaries such as The Pixies. Her air of quiet oddness coupled with an unpredictable performance style, ranging from whispered to screaming, marked her out as something a little bit special. Few artists have managed to preserve a range of styles so successfully for so long. 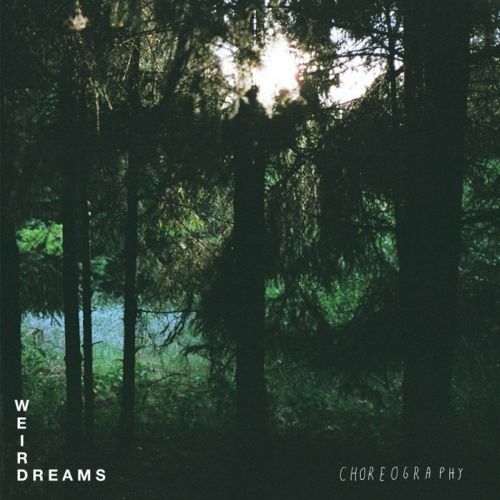 Want sprightly indie rock? Then the Throwing Muses can supply it with songs like Counting Backwards. Feel like some delicate pop music? Then Kristin Hersh solo performing Your Ghost will be right up your street. And if you’d like something a bit rough and heavy then 50 Foot Wave performing Clara Bow should fit your mood. The latter being her lyrical style in microcosm, an evocative mix of delicate and violent imagery. This wide variety of musical styles is coupled with some great lyrical themes which leap between the personal and the surreal. She is one of the most raw and personal lyricists with her mental health, relationships and even the loss of custody of her first son being the subjects of her songs. More than 25 years into her recording career she is every bit as exciting a performer as she was in the early days of Throwing Muses. Her perfomance at The Breeders ATP in 2009 was testament to that as she rocked as hard as any other performer that weekend. 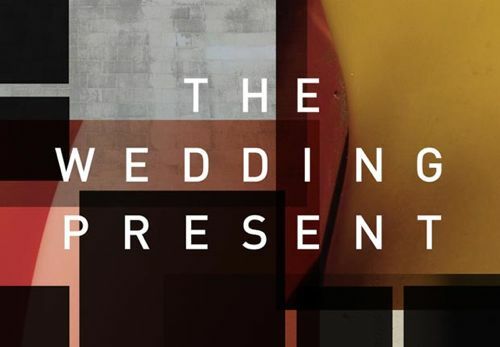 Admittedly The Wedding Present and former Cinerama frontman David Gedge is a bit of a one trick pony. The poor chap has been singing about love and most notably loss for almost 30 years. So why is he on this list, you ask? If anything this obsession with the intricacies of relationships, of the highs and lows, the introspection, the guilt and jealousy, is his strength not his weakness, as his turns of phrase continue to resonate with audiences today. Oh she’s not to blame, I know exactly what I said. 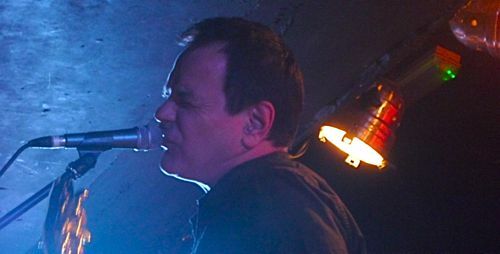 The strange thing is though for anyone who sees Wedding Present live these days or follows his tweets Gedge is just about as happy as its possible to be, still living the dream, residing by the sea in Brighton and touring the world, belting it out to those who have loved and lost. It’s typical for rock icons to play up to their ego- just take John Lennon who declared The Beatles bigger than Jesus. 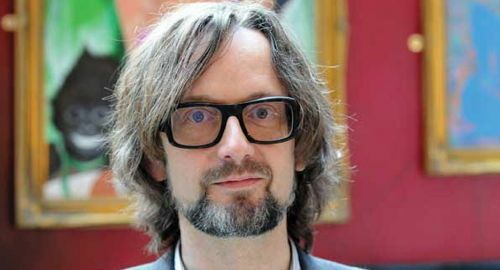 There are no such proclamations from Jarvis Cocker; instead he simply milks his ability to state the bloody obvious. Cocker’s lyrics shed light on the mundane while being emotionless. He is the raconteur of a night time world of fishnets and carrier bags in which he is a participant observer. Can you feel how much I want you? I’d love to help you but everybody’s telling me you look like me/ Please don’t turn out like me. Even when being personal he has to remove himself. 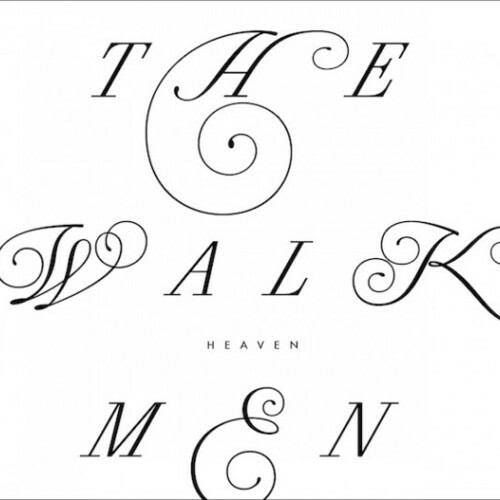 With arguably his greatest work, Common People, his effortless descriptiveness is astounding. 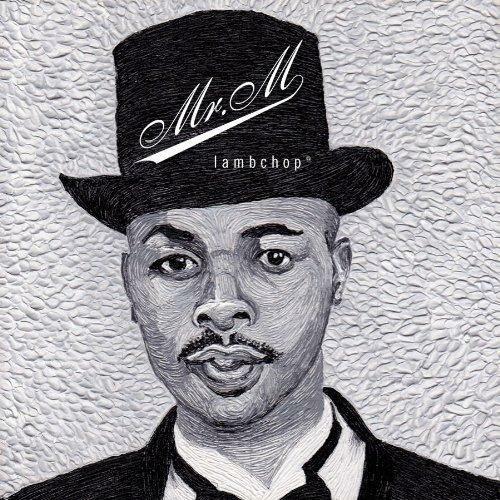 He utilises schoolboy couplets, rhyming “pool” with “school”, and audaciously linking “I” with “eye”. My old English teacher would give me the birch for less, yet Cocker’s assured wry pulls it off. Yet once again he is detached, allowing the listener to become the narrator. Essentially it is his ability to recreate traditional story telling. Five hundred years ago he would have been a travelling balladeer regaling provincial inns with tales of distant lands and buxom wenches – Cocker even has a signature jester dance to bring his words visibly to life – while Shakespeare would use pompous language and arty-farty imagery, *cough Albarn*. Cocker’s song writing is working class reality garnished with outsider intellectualism. It could be you hiding in Babies’ wardrobe or raving in Hampshire, but it you wouldn’t be able to convey it with such gracious wit. Swedish folk troubadour Kristian Matsson, aka The Tallest Man on Earth, is on a bit of a hiding to nothing with his third album There’s No Leaving Now. 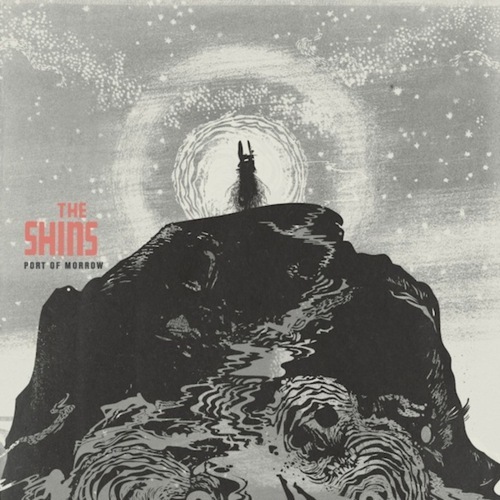 If he sticks to his tried and tested formula of both his debut album Shallow Grave (2008) and the bulk of his second album Wild Hunt (2010), of just passionate vocals and acoustic guitar playing, then he leaves himself open to accusations of lacking ambition. If he mixes it up a little, adding perhaps piano as he did on Kids on the Run, the final excellent track from his second album, or electric guitar as he did on the Sometimes The Blues Is Just A Passing Bird EP, then he risks alienating his audience. Seemingly aware of the careful tightrope he walks of pleasing himself as an artist, his fans and music critics There’s No Leaving Now ends up as a solid collection of tracks that will please rather than excite pretty much everyone. There’s enough sumptuous finger picking and fast paced strumming to please his fans, especially on the John Martyn-esque Leading Me Now. There’s also enough ambition on display to show he is moving on with his career, with drums, piano, slide guitar, strings and electric guitar added to at least half the tracks. It’s these more adventurous tracks that end up the more interesting, especially the electric guitar arrangements on 1904 and the gorgeous piano ballad title track that anchors the album nicely. This difficult third album is in some ways his best as it has a variety and change of pace that the previous two albums largely lacked. But in other ways it’s also his most incoherent and leaves the listener with a sense that compromises have been made. It also lacks the excitement of his previous two albums. There’s no joyous moments such as Wild Hunt’s King of Spain or that breathtaking rawness of his debut, where you could even hear the squeaks of his hand as it moved around the fretboard. Despite this lack of spark, it’s still a fine album, showing that he is keen to move on with his music, test out new ideas and prove that he is more than just a troubadour with a guitar and a big voice. 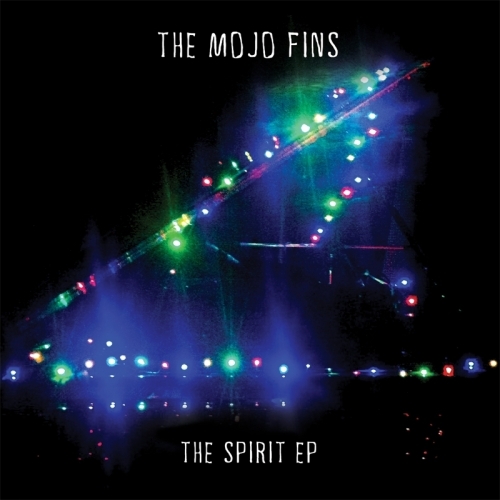 When I reviewed Shake The Darkness, The Mojo Fins album from the middle of last year, I wanted the band to rough things up a bit and explore a more natural sound. Their new release, The Spirit EP (again recorded by Dave Eringa), hardly sounds like a garage recording but it does have a more organic sound. This sound, with simpler arrangements than on the album, suits their songs better and is a definite step forward. The songs also have more of a hook than before, although we aren’t talking about three minute pop songs here. The band still want to produce a big anthemic sound, but the songs are more memorable and have stronger melodies this time around. Title track ‘Sweet Spirit’ starts things off perfectly with some beautifully picked folky acoustic guitar and brushed drums before the instruments build up and multi-tracked vocals come in. ‘Palace of Memory’ opens with haunting echoed piano before some more exquisitely played acoustic guitar comes in behind the records most restrained and strongest vocal performance. It is also the EPs best tune and most memorable chorus. 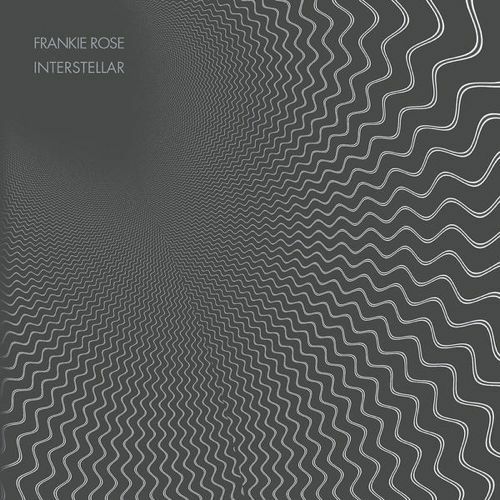 ‘K2’ is folkier still and benefits from a musical space that was perhaps lacking on the band’s last long player. Just when you’d expect the song to kick in with a wash of instruments it doesn’t; instead we get restrained drums and more picked guitar. ‘When I Go’ finishes the EP in similar style, keyboards and electric guitar building the sound back to a sound more like the opening track, and it is a satisfying finish to a strong set of songs. Other reviews of the band have used the dreaded “c” word, Coldplay. As with other examples (Milagres, one of my favourite acts from The Great Escape spring to mind) this is not really a fair or accurate comparison, and a bit of a lazy one. The similarities start and end with the production values and (at a push) the vocal style. The arrangements, playing and songs owe little to Chris Martin’s band of stadium bores. In fact it sounds a lot more like Prefab Sprout, and that (intentional or otherwise) is a far worthier source of inspiration. I’d still like to hear the band rough things up a bit, and maybe look at a producer who, for want of a better word, “produces” less. 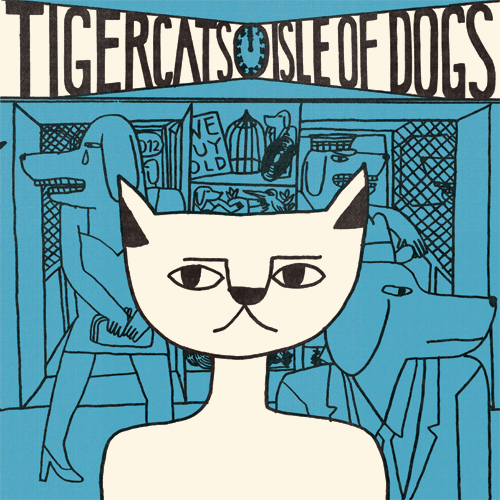 However, this EP is a real step forward and contains some of the best music the band have put on record to date. The Mojo Fins play at The Concorde 2 this Wednesday supported by Thomas White, Forestears and Bat County. Details on the Facebook event page. This video was put together more than three years ago for the excellent track ‘The Fifth Brigade’ by The Modern exposition. The band play a “Gig For Gambia” next week in aid of City College’s ‘Trade 4 Aid’ project at Brighton’s Green Door Store. The gig starts at 7.30 on Wednesday 13th June and full details can be found on this Facebook events page. In June each year we usually whet your appetite for the plethora of end of year album lists with a look at our favourites of the year so far. Usually this involves 10 albums, but with such a stellar year for releases so far we’ve decided to double the size. We take pride in promoting new and interesting acts and we’ve got those in abundance this year as well as some old stagers who continue to roll back the years. This year also sees the emergence of a number of exciting UK acts, a group that has been sadly under represented in previous years. 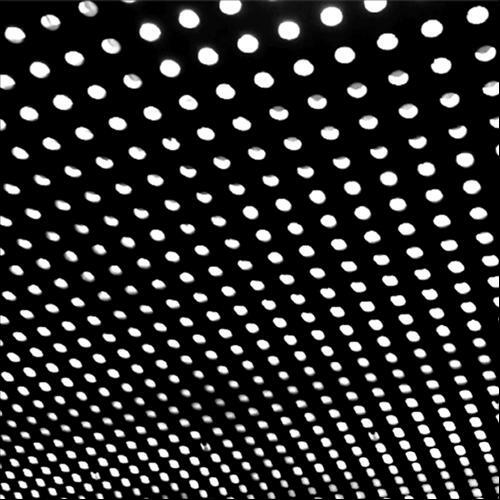 Sit back, pull up a bus ticket to your nearest independent record shop and delve into our Top 20 Albums of 2012…So Far.